Wine quality depends on many elements, but its character comes mainly from the grape variety and the terroir (the soil and climate conditions that characterise a region). The same grape variety grown in different places produces very different wines. Similarly, different grape varieties planted in the same place will also affect the wine’s character. Years of precious experience in this field show that certain grape varieties are better suited to certain terroirs. The estate’s grape varieties for red wine are 68% Grenache, 24% Syrah. The Grenache is pruned into bushes (goblet pruning) or trained along a picket wire trellis, using the Royat cordon training method. 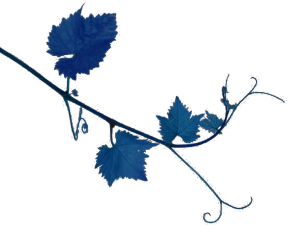 Syrah is trained along a picket wire trellis, using the Royat cordon training method. Syrah and Grenache grapes are made into wine separately and blended after fermentation. The grapes are 100% de-stalked and macerated for 7-25 days at a maximum temperature of 30°C.